Have you ever wanted to build your own personal satellite but your last name doesn’t start with Gates or Branson? Well, now there’s good news. For the price of a car you can now build, test and launch your own personal satellite at home. Dr. Sandy Antunes, Author of DIY Satellite Platform, talks about building his own amateur radio personal spacecraft Project Calliope. The best part (besides having your own satellite) is that you can now do some serious science. Find out what kind of satellite Dr. Antunes is building and how he’s running the same kinds of tests the large Aerospace companies do, but for a fraction of the cost. This video shows a presentation on the mur.sat TubeSat MURSAT1 that was given at the Chaos Computer Camp on August 13, 2011. A team of about 15 people around mur.at (Graz/Austria) have build their first Nanosatellite called MURSAT1, based on the Interorbital Systems TubeSat and developed further following their research. In 2012 MURSAT1 should be launched into a 310 km orbit. This talk gives an overview of the project and the technical hacking done so far. The team say Mursat1 itself will become our performer, taking self portraits with a camera, transmitting data about his position relative to earth by torquers, receiving and translating particle detection and collision with a piezo microphone, sending compressed audiodata for radio transmission on earth, hosting children’s wishes to become a shooting star themselves, counting. The March issue of SatMagazine features a 4 page article by Randa Relich Milliron, CEO and Co-Founder of Interorbital Systems. Interorbital Systems plans to launch a number of amateur radio CubeSats along with dozens of TubeSats on it’s Neptune 9 rocket. 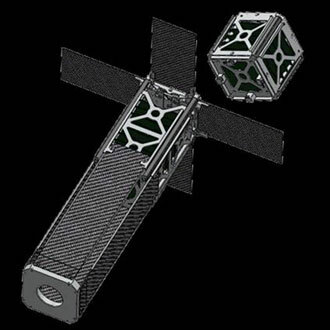 Among the CubeSats to be launch by Interorbital Systems is Euroluna’s Romit1 which aims to be the first CubeSat to use propulsion to significantly raise its orbit, from 310 to 700 km. The Interorbital Systems article appears on page 90 and is followed on page 94 by an article on the Space Foundation which aims to promote science, technology, engineering and mathematics (STEM) in schools. The President of Euroluna Palle Haastrup OZ1HIA gives an update on the Romit1 CubeSat and plans for Romit2 and Romit3. 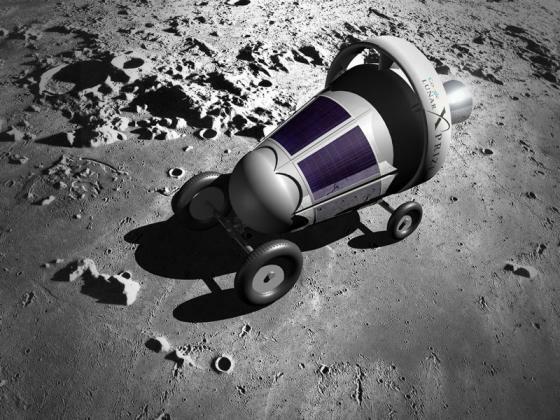 Euroluna are a Danish amateur team participating in the $30 million Google Lunar X PRIZE contest to be the first privately funded team to land and drive a rover on the Moon. Romit1 is a 2U CubeSat that is planned to launch on the Interorbital Systems Neptune 9 rocket. It will transmit on 437.505 MHz at 1200 bps. If everything goes well it should, after a year, be out in a 700 km orbit, having started in a 310 km orbit. When the rocket reaches its orbital altitude, the satellite is deployed using a spring-loaded device. Romit1 then powers up and conducts a systems test. The satellite must stabilize itself so that it has the right orientation (with the propulsion system pointing aft). The spacecraft will immediately start its engine so that it can begin its journey to a higher altitude, away from any traces of atmosphere that would produce drag, slow it down, and shorten its orbital lifespan. It is hoped that radio amateurs across the world will assist the team in retrieving the data sent down, for example, they can gather images from the six cameras. Radio amateurs can send the pixels they receive to Euroluna who will assemble them into a full image. The group are currently looking for a launch opportunity for Romit2 as well as Romit3 that is planned to reach the Moon.